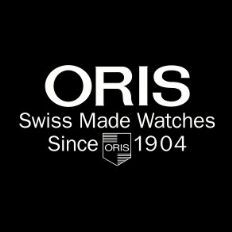 Over 100 years Oris has been making watches in Switzerland. Oris watches are purely mechanical and are marked out by their distinctive design as well as the red rotor, the symbol of Oris mechanicals. Oris watches are also popular, as celebrities from Formula One, diving, jazz, aviation, and Hollywood queue up to wear and support the unique creations. Oris is rooted in the tradition of Swiss watchmaking. Oris have been producing its own movements at the Hölstein factory for a century. Oris has a long and proud history of both sponsoring and being influenced by Formula1.